I am having acne problem recently. Acne popped out all around my face and I have no idea how to deal with it at all. It makes me feel tension all these while until I have been attached with Eucerin ProACNE Solution A.I Clearing Treatment. ProACNE Treatment is an acid peel for acne-prone skin. It is formulated to reduce the appearance of pimples, papules and pustles as well as to fade acne marks. It is suitable for all mild to moderate forms of acne and has a triple effect. The 10% Hydroxy Complex contains a highly effective combination of peeling agents - Glycolic Acid, Salicylic Acid and Polyhydroxy Acid - which help to resurface skin, unclog pores, reduce bacteria, remove dead skin cells and prevent new blemishes from appearing. The formula contains Licochalcone A which has been proven to reduce inflammation and help soothe irritation. 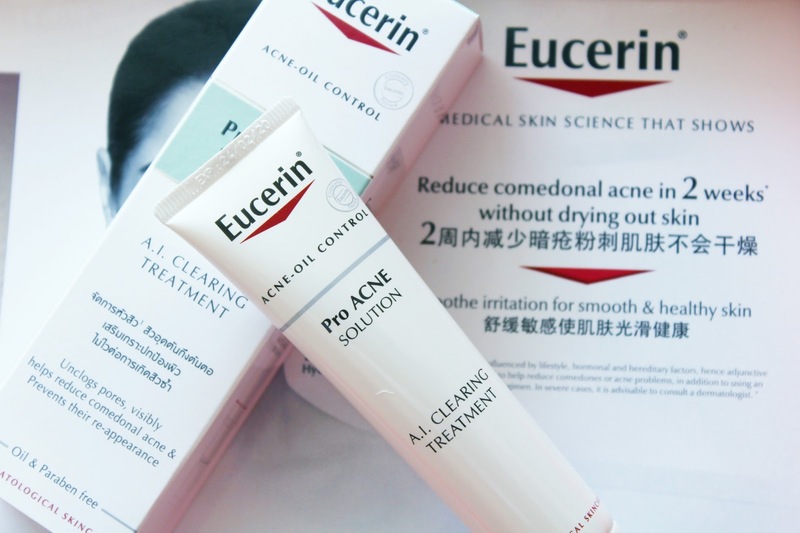 Take note that this product is not suitable to use by those who undergo medical acne treatment. However, this product is suitable to use during pregnancy. 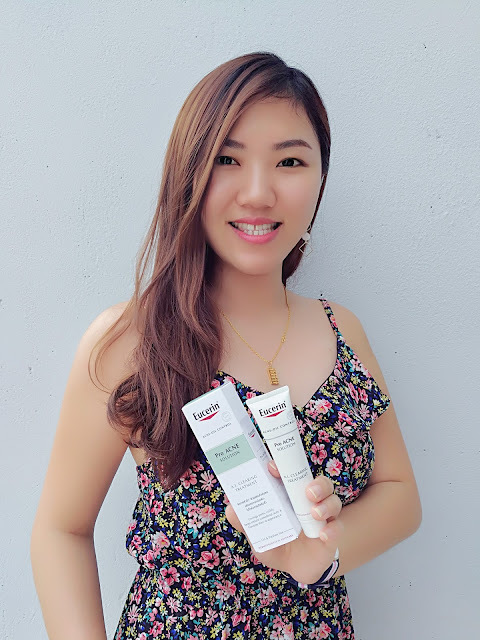 I have been using this product for 2 weeks and I can see that my skin is getting improved. During application, I feel a little bit of irritation effect on my face skin. However, the irritation effect disappears after few seconds. - suggest to use it once a day. Preferably in the evening. - apply a small amount to cleansed face. - massage gently into the skin. Before using ProACNE, I have acne and acne marks problem on my face. 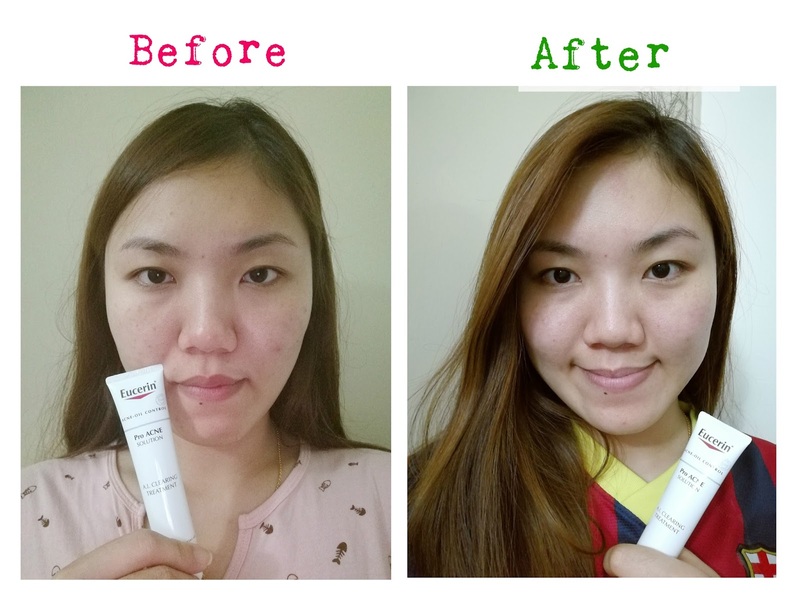 After using ProACNE, for 2 weeks, I notice that the dark post-acne marks on my face has reduced. It is amazing! I would recommend you to try this out if you are having acne problems on your face. You can now purchase this at any Watsons or Gurdian stores. 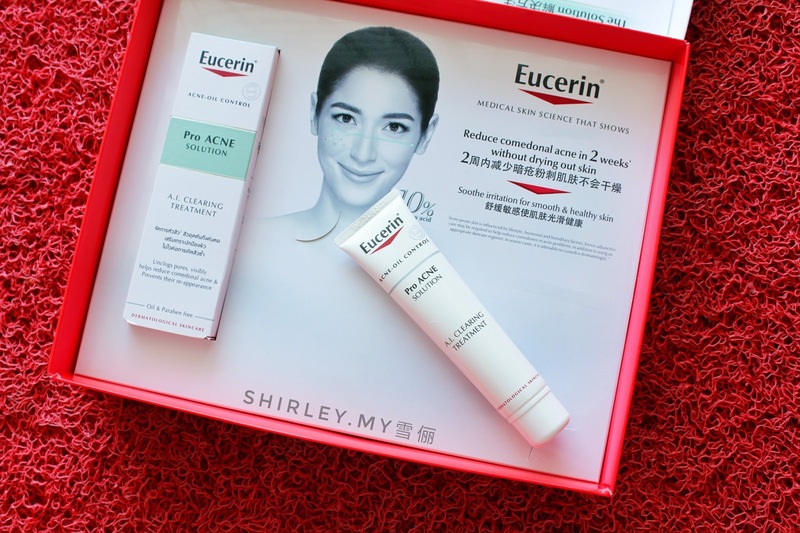 Also, you can purchase it online at www.eucerin.my.